We Only Have 5 Years To Avoid Climate Catastrophe! Perhaps the best summary of the tipping-point phenomenon comes from UK scientist Philip Stott. “In essence, the Earth has been given a 10-year survival warning regularly for the last fifty or so years. We have been serially doomed,” Stott explained. “Our post-modern period of climate change angst can probably be traced back to the late-1960s, if not earlier. By 1973, and the ‘global cooling’ scare, it was in full swing, with predictions of the imminent collapse of the world within ten to twenty years, exacerbated by the impacts of a nuclear winter." Ocasio-Cortez is only the latest activist to join in the endless climate “tipping point” movement, joining former Vice President Al Gore, former President Barack Obama, UN leaders and Prince Charles. 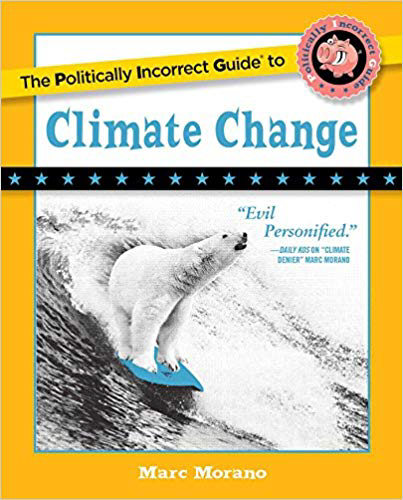 The new best selling and award-winning skeptical climate book that debunks the climate fear movement, The Politically Incorrect Guide to Climate Change, devotes an entire chapter to the long and silly history of climate tipping points, beginning in 1864! results become grim reality.” That warning appeared in an April 28, 1975, article about global cooling! Same rhetoric, different eco-scare. Perhaps the best summary of the tipping-point phenomenon comes from UK scientist Philip Stott. “In essence, the Earth has been given a 10-year survival warning regularly for the last fifty or so years. We have been serially doomed,” Stott explained. “Our post-modern period of climate change angst can probably be traced back to the late-1960s, if not earlier. 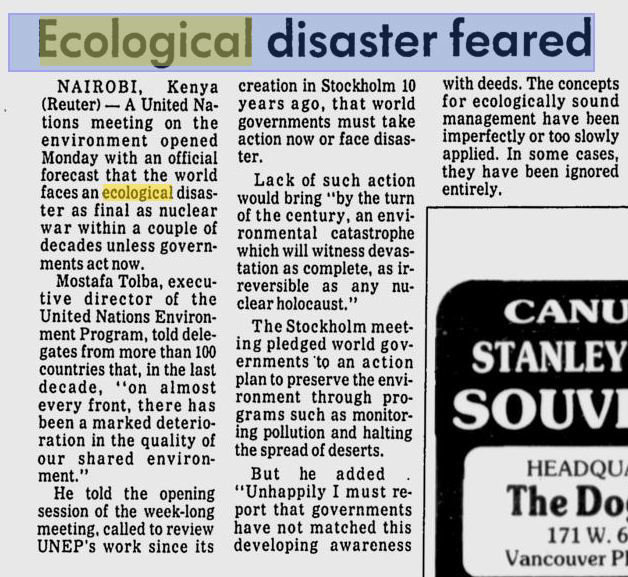 By 1973, and the ‘global cooling’ scare, it was in full swing, with predictions of the imminent collapse of the world within ten to twenty years, exacerbated by the impacts of a nuclear winter. According to the Boston Globe, the United Nations has issued a new climate “tipping point” by which the world must act to avoid dangerous global warming.